Having failed in attempts to accelerate the termination of a CDO, an investor group holding senior notes filed an involuntary petition against an issuer to liquidate the CDO before its stated maturity under the U.S. Bankruptcy Code. This desk reference is intended to provide an in-depth analysis of the numerous issues affecting an equipment lessor when dealing with a lessee after it has filed for bankruptcy protection. Czyzewski v. Jevic Holding Corporation made some court-watchers nervous that the decision would be applied broadly to disturb other bankruptcy-related distributions. In bankruptcy cases where a not-for-profit corporation is closely related to or controlled by a governmental unit, a creditor may challenge the not-for-profit corporation’s bankruptcy eligibility, arguing that the not-for-profit corporation is, in substance, a “governmental unit” and therefore not eligible to file a Chapter 11 petition. On January 11, the Third Circuit issued a decision in a case that limited the reach of the Rooker-Feldman doctrine as a defense to bankruptcy avoidance actions. The court’s reasoning, however, has implications that go well beyond the particular facts of the case. 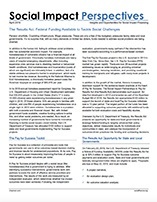 As state and local governments seek more creative financing methods for economic development projects, some have turned to the formation of subsidiary entities that can provide financing assistance, potentially without triggering debt limits under state or local laws or violating covenants under existing financings. Life is Not a Bowl of Cherries for PACA Claimant Objecting to Cash Collateral Use: In re Cherry Growers, Inc.
A debtor-in-possession is entitled to use cash collateral over the objections of PACA claimants so long as the debtor demonstrates that the interests of the PACA claimants are adequately protected, according to a recent ruling by Judge Dales of the United States Bankruptcy Court for the Western District of Michigan. The U.S. Court of Appeals for the Second Circuit reversed both the district court and the bankruptcy court’s decisions in MPM Silicones, LLC, which had held that the “prime plus” formula was the appropriate method for determining the interest rate required in connection with new notes issued to secured creditors under a Chapter 11 cramdown plan of reorganization. The United States Court of Appeals for the Second Circuit has affirmed the district court and the bankruptcy court’s determinations in MPM Silicones, LLC that Momentive’s senior noteholders are not entitled to recover any make-whole premium on account of the replacement of their notes. On September 21, a Bankruptcy Court ruled that holders of notes issued pursuant to a Note Purchase Agreement entered into by a debtor’s operating subsidiary were entitled to what the court termed an ‘enormous’ make-whole payment, post-petition interest, and recovery of related fees and expenses. On October 3, the U.S. Bankruptcy Court for the District of Delaware granted a motion to reconsider a decision it made over a year ago in the bankruptcy of Energy Future Holdings Corp. and its co-debtors and in doing so disallowed a $275 million breakup fee to a prospective asset purchaser that it had previously approved. On October 3, 2017, the U.S. Bankruptcy Court for the District of Delaware granted a motion to reconsider a decision it made over a year ago in the bankruptcy of Energy Future Holdings Corp. and its co-debtors and in doing so disallowed a $275 million breakup fee to a prospective asset purchaser that it had previously approved. Many equipment lessors are watching yesterday’s prime customers transform into tomorrow’s distressed credits. This article addresses some of the key considerations for lessors in formulating a plan to deal with distressed or likely-to-be-distressed lessees, both prior to and during a potential bankruptcy proceeding. On August 3, 2017, the Delaware district court upheld the Delaware bankruptcy court’s confirmation of a so-called “gift” plan (i.e., a plan in which a secured creditor class “gifts” a portion of its plan distribution to a junior class). The Gift Plan: Dead or Alive? On August 3, the Delaware district court in In re Nuverra Environmental Solutions, Inc. upheld the Delaware bankruptcy court’s confirmation of a so-called “gift” plan, notwithstanding the recent Supreme Court decision in Czyzewski v. Jevic Holding Corp. that had cast doubt on the viability of such plans. In a recent case, the Sixth Circuit held that under Michigan law a properly perfected assignment of rents bars a debtor from using the rents to fund its operations in a Chapter 11 reorganization. On March 27, the U.S. Supreme Court granted certiorari in the case of In re the Village at Lakeridge LLC, under which an appeals court held that a claim of an “insider,” which is not counted for the purpose of creating an accepting impaired class for the purpose of “cramming down” a plan of reorganization over the opposition of a rejecting class, does not retain its status as a claim of an insider for that purpose once transferred to a noninsider third party. In a stark reminder to the bankruptcy community of the old adage that “you can run but you can’t hide,” the U.S. Bankruptcy Court for the Southern District of New York recently denied an Austrian bank’s motion to dismiss for lack of personal jurisdiction. In a break from recent decisions, on November 17, the Third Circuit Court of Appeals reversed the District Court’s decision in the Energy Future case, finding that make-whole premiums were in fact payable upon a “redemption” even if such redemption occurred after a bankruptcy filing and the automatic acceleration of the underlying debt where the applicable indentures did not otherwise provide. Credit Bidding: Has the “Fisker” Threat Subsided? 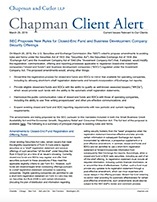 A recent bankruptcy court decision in the Aéropostale bankruptcy case pending in the bankruptcy court for the Southern District of New York may provide some comfort to secured creditors seeking to credit bid in a sale process commenced by a debtor pursuant to Section 363 of the U.S. Bankruptcy Code. On June 3, 2016, the United States Bankruptcy Court for the District of Delaware ruled that the intercreditor agreement between first lien noteholders and junior noteholders in In re Energy Future Holdings Corp. did not require the junior noteholders to bear the cost of a previously disallowed make-whole payment to the first lien noteholders. It is a basic principle in bankruptcy that a secured lender is entitled to receive interest and other charges arising post-petition to the extent the lender is over-secured. A recent decision challenges this principle in cases where the value of a lender’s collateral diminishes during the course of the bankruptcy case. 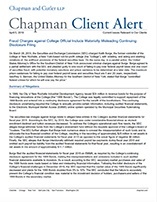 A recent decision issued by a federal district court in North Carolina challenges the familiar principle that in a borrower’s bankruptcy, the lender, if it is oversecured as of the bankruptcy filing date, is entitled to receive post-petition interest, attorneys’ fees and other charges arising post-petition to the extent of the value of its collateral. 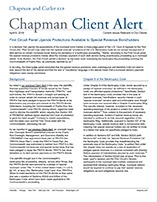 Pratt's Journal of Bankruptcy Law republished a Chapman Client Alert. On February 16, 2016, the District Court for the District of Delaware affirmed the decision of the Delaware bankruptcy court in In re Energy Future Holdings Corp., that noteholders’ claims for make-whole premiums may be blocked by the automatic stay of the U.S. Bankruptcy Code. On Feb. 8, 2016, the United States Court of Appeals for the Ninth Circuit held that a claim of an “insider,” which is not counted for the purposes of creating an accepting impaired class for confirmation of a contested plan of reorganization, does not retain insider status once transferred to a third party that is not an insider. 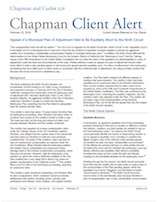 This article examines the current treatment of default interest by bankruptcy courts and analyzes how a creditor’s claim for default interest could be treated as part of a chapter 11 plan process. On November 2, 2015, the Delaware bankruptcy court ruled that where a majority of bondholders direct an indenture trustee to withdraw its confirmation objections, the remaining minority who did not file independent objections to confirmation may not step in to press the indenture trustee’s objections. In a decision that may ease the resolution of future bankruptcy proceedings, the Third Circuit Court of Appeals affirmed a bankruptcy court’s approval of a sale of substantially all of a debtors’ assets based on a settlement in which the secured creditors gifted funds to general unsecured creditors. Though the RadioShack proceeding sheds light on how bankruptcy courts may interpret an agreement among lenders, unfortunately, it still remains unclear as to whether U.S. bankruptcy courts will assert jurisdiction to consider arguments arising under an agreement among lenders. On July 13, 2015, the United States Court of Appeals for the Eleventh Circuit reversed lower court orders that had precluded a lender from collecting accrued default interest from a debtor as a condition for reinstatement of the loan under a confirmed plan of reorganization. Recently, before awarding bondholders any amounts on account of a make-whole provision upon a debt prepayment, courts have repeatedly insisted on clear language in the credit documents requiring such payment notwithstanding a bankruptcy filling and a related automatic acceleration. 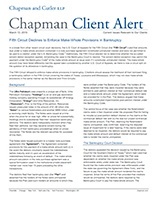 Pratt's Journal of Bankruptcy Law published an article written by Chapman attorneys. The U.S. Supreme Court’s 6-3 split decision in Baker Botts LLP v. Asarco LLC will have long standing implications for all bankruptcy professionals’ compensation, potentially making it much more costly for all professionals retained in chapter 11 cases. Under current law, affiliated creditors holding debt arising from the same loan transaction will not likely be lumped together when determining the number of creditors that have voted to approve or reject a plan, particularly where such affiliates held such debt prior to a bankruptcy filing and assert their claims through separate proofs of claim. On December 8, 2014, the American Bankruptcy Institute Commission to Study the Reform of Chapter 11 released its Final Report and Recommendations for amendment to the current Bankruptcy Code. The proposals are significant, and on the whole, largely harmful to the rights of secured creditors. The United States District Court for the Southern District of New York recently affirmed the Bankruptcy Court’s decision in In MPM Silicones, LLC, establishing Judge Drain’s “prime plus” formula as the appropriate interest rate required in connection with new notes issued to secured creditors under a cramdown plan of reorganization in the Southern District of New York. 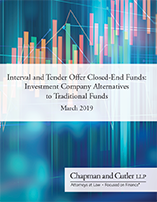 This is the fifth installment of Chapman and Cutler LLP’s discussion of the proposals contained in the Final Report and Recommendations of the American Bankruptcy Institute’s Commission to Study the Reform of Chapter 11. In order to avoid future intercreditor disputes, investors can learn from past mistakes and draft or revise their intercreditor agreements accordingly. 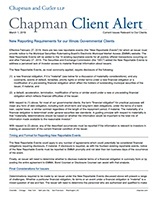 In this Client Alert, we attempt to highlight a number of specific considerations that may improve intercreditor agreements, to better achieve their intended purpose of delineating the respective priorities and rights of senior and junior secured creditors while avoiding intercreditor conflict. 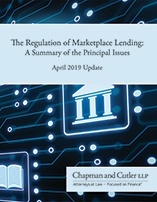 This is the fourth installment of Chapman’s discussion of the proposals contained in the American Bankruptcy Institute’s Final Report and Recommendations to amend the Bankruptcy Code. Can Bankruptcy Sales Be Free and Clear of Unknown Future Claims? One of the well-known benefits of bankruptcy is that assets can be sold free and clear of claims and interest in the property. But unknown future claims have presented difficulties for purchasers of assets in bankruptcy sales and courts have struggled to devise a clear rule for dealing with such claims. As discussed in our first two installments, the American Bankruptcy Institute released its Final Report and Recommendations containing proposals to modify the Bankruptcy Code, many of which will have significant and negative implications for secured creditors. As discussed in our first installment, the American Bankruptcy Institute released its Final Report and Recommendations containing proposals to modify the Bankruptcy Code, many of which will have significant and negative implications for secured creditors. Last week, the American Bankruptcy Institute Commission to Study the Reform of Chapter 11 released its Final Report and Recommendations for amendment to the current Bankruptcy Code. 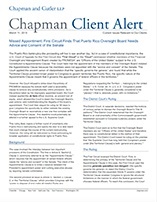 Chapman and Cutler attorneys have been monitoring decisions and developments with respect to creditors' rights and have compiled the client alerts published to date that provide important insight regarding the implications of these decisions for holders of secured debt and highlight what every creditor should know in order to effect rights under its credit agreement. In an important bench ruling in the MPM Silicones case, Judge Robert Drain of the U.S. Bankruptcy Court for the Southern District of New York has provided debtors with a potentially coercive tool to use as leverage against their secured creditors. I’m a Secured Creditor so I’m Entitled to Default Interest, Right? As prices for distressed loans have risen, holders of secured claims are focusing not only on the recovery of principal but also on repayment of interest, fees and pre-payment-premiums or “make whole” payments. The Harvard Law School Forum on Corporate Governance and Financial Regulation posted an article based on a recent Chapman Sidebar. Given today’s low interest rate environment, the enforceability of make-whole provisions has been the subject of intense litigation as debtors seek to redeem and refinance debt entered into during periods of higher interest rates, and investors seek to maintain their contractual rates of return. This trend has come to the forefront most recently in two separate cases, one filed in Delaware and the other in New York. The right of a secured creditor to “credit bid” (i.e., to bid the amount of debt owed rather than cash) in a debtor’s sale of assets, once thought to be rock solid, is again under attack. Under current bankruptcy law, units of local government cannot voluntarily petition for municipal bankruptcy under Chapter 9 without express and specific authority from the state.